For the first time, we have a Government in Zambia whose sole purpose or agenda is self-preservation and enrichment. We elected a leadership that has no political ideology or philosophy. Correct me if I’m wrong but what does the Patriotic Front stand on or for? With respect to policy, it’s become abundantly clear that the Patriotic Front as the party in Government holds no policy positions (save for its wishy washy populist pronouncements). I could even go further and state that the PF Government does not even hold any substantive views on any position (of national interest) or subject. Besides the rhetoric that we are subjected to our Government hasn’t achieved any of its 2011, 2015, 2016 election promises (insert the “More money in your pockets” slogan here. Recent allegations by an ex inner circle Minister confirms what we all know and are undoubtedly thinking. This Government is the most corrupt ever. Maybe I exaggerate so I would like to challenge anyone to share any story of honorable conduct by the current ruling PF Party and or its Government. Instead we are inundated with stories about in-fighting, lies, office abuse, deception, graft, corruption, propaganda and questionable electoral practices. How can we even proudly claim that we are a Democracy? How can any (seemingly sober) person preside over such injustice, chaos and manage to sleep at night? How can a leader (I use this liberally because he is far from one) systematically and willfully terrorize his own citizens? President Lungus despotic leadership style is intended to keep us distracted, anxious and scared. “Fear” has become all too familiar in Zambia and I am shitting in my pants even if I appear to be momentarily enjoying my right to express myself. His presidency is a financially excessive enterprise designed to enrich him and the people that are closest to him. This might explain why he is so passive in effectively addressing corruption which ironically was one of the promises the PF was voted on in 2011. What is baffling however is that peaceful protests and traffic offenses are handled swiftly but ask where our $42 million went and our leaders “call” for investigations but remain suspiciously quiet about the proliferation of corrupt practices. Why do we accept to presided over by people with no beliefs, no national ambition, no morals, no principles? Why do we accept to presided over by people with no leadership code or guidelines (anyone can bark), no plans, no expectations? With accountability on public resources and expenditure at zero how or why do we even continue to trust them with our money? The PF Government is toxic and a poison to the promise of 1964 as well as the spirit of the Republic of Zambia. President Lungus reign must be recorded in our history as the worst post ’91’ presidential tenure because of its unashamed cruelty. Cruel because they care less that we have been turned into animals. Anxious, angry, fearful, confused, doubtful animals. Our humanity is lost. By animals I mean that as Citizens, we have absurdly resorted to taking out our frustrations on each other while “they” thrive and prosper. As a people and a nation, we are under attack. A deliberate, unprovoked, systematic and evil attack from within and we are losing. Every institution we used to trust, the Patriotic Front Government has undermined if not exhaustively decimated. 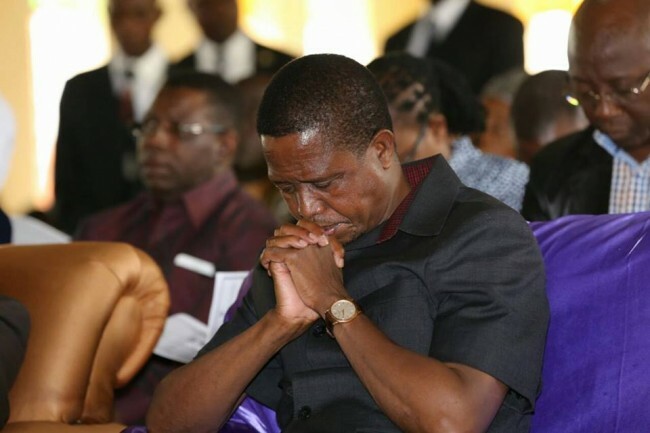 The Anti -Corruption Commission, The Police, The Media, The Electoral Commission of Zambia, The Judiciary, The National Assembly, The Civil Service, Unions, The Opposition, The Church all reduced to nothing, noisy gongs or clanging cymbals. We are all collectively stupid to have allowed this. We continue to and that is why they will rob ourselves of our own sovereignty. Zambia is now a Country for sale. Just ask the Chinese who now own most of it. We are now even losing our will to “hope.” We do not have hope that future elections will be fair. We do not have hope that our government is working in our interests. We do not have hope that we will have leaders that will put their interests before their own. As a people we do not trust each other, rely on each other and don’t even love each other. Our national, patriotic spirit is eroded under their tyrannical rule. Only a foolish, selfish, complacent citizen fails to see all the pain and suffering around him or her. We have to get to a point where we should be able to say “Enough is Enough!” in one voice and as one nation. Things are NOT going to get very bad. They already are! We need to have an honest conversation about this. Rock bottom is already here. My point: there is only one fight in Zambia today that matters. The Patriotic Front and its entire leadership must go. Chalo chesu!